Author: Korda, Michael Set In . . . The Hungarian Revolution of 1956 was perhaps the most dramatic single event of the Cold War and a major turning point in history. Though it ended unsuccessfully, the spontaneous uprising of Hungarians against their country's Communist party and the Soviet occupation forces in the wake of Stalin's death demonstrated to the world at large the failure of Communism. In full view of the Western media—and therefore the world—the Russians were obliged to use force on a vast scale to subdue armed students, factory workers, and intellectuals in the streets of a major European capital. In October 1956, Michael Korda and three fellow Oxford undergraduates traveled to Budapest in a beat-up Volkswagen to bring badly needed medicine to the hospitals—and to participate, at street level, in one of the great battles of the postwar era. 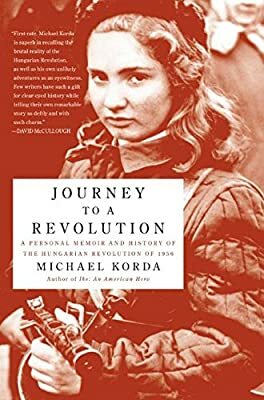 Journey to a Revolution is at once history and a compelling memoir—the author's riveting account of the course of the revolution, from its heroic beginnings to the sad martyrdom of its end.